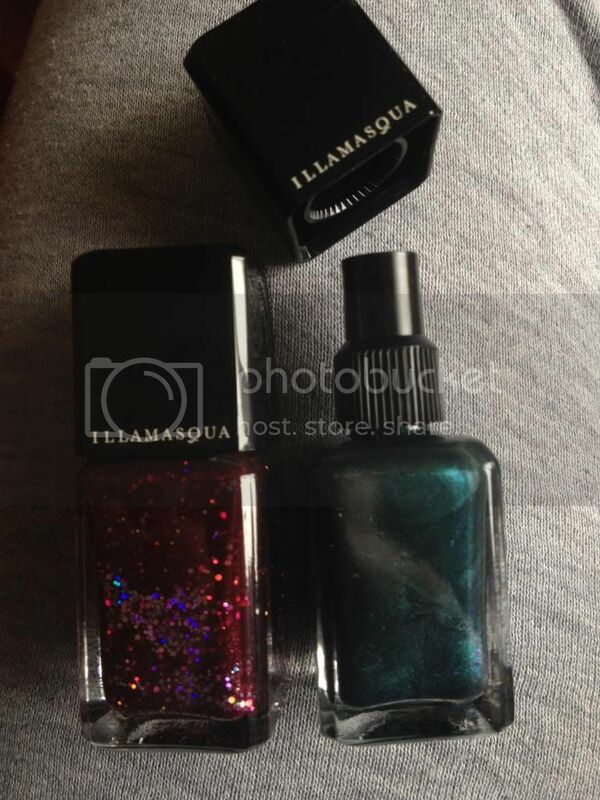 So today I bring you a couple of nail varnishes from Illamasqua that I brought up in London back in February as a birthday treat to myself! I really wanted to buy some make-up but at the time I couldn't justify it due to thinking about how I can't wear it every day because of my job. However, I would definitely buy something next time I was in a store if I really loved it, mainly because there isn't a store very close to me (I think the closest is London which is the one I went to) but also because I've seen loads of things on their website but would like to play about with the make-up before buying it online. So the 3 nail polishes I picked up were ones I just happened to see in store that really caught my eye - they were basically impulse purchases! The girls in the Beak Street store that I went to were really lovely and helpful. They even offered me a bit of card to try any/all of the nail polishes out on if I wanted to, which was really helpful....and helped sell me on the nail polishes I picked! 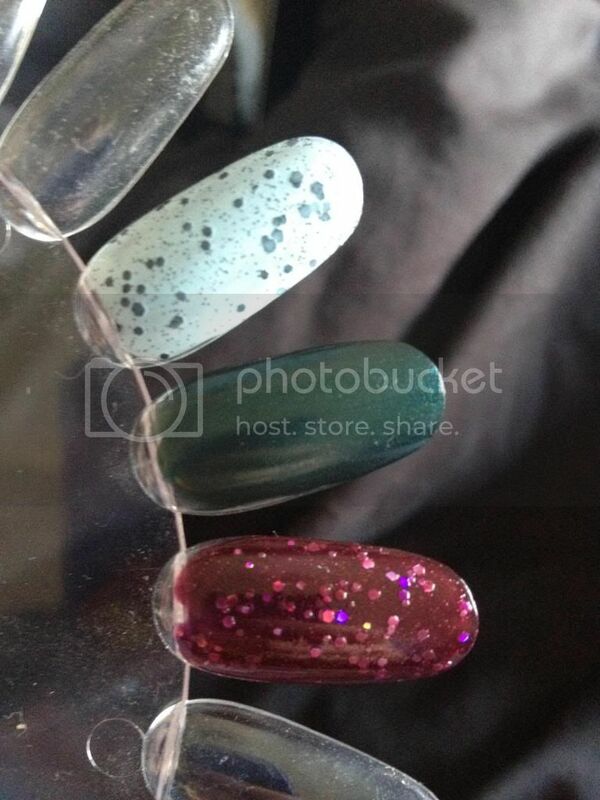 The first one I picked was Glitterati which was so pretty but the girl was quick to point out that it only came in a duo set with Veridian. 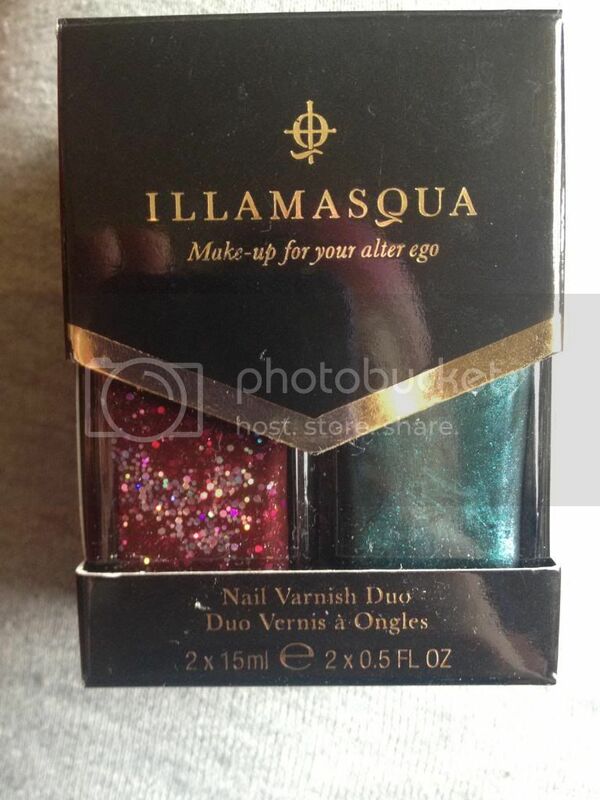 I don't really need another teal nail polish so was tempted to say no....but I just couldn't resist that beautiful glitter polish! I'm so glad I didn't say no to this one! The other polish I picked up was from their spring collection I think. 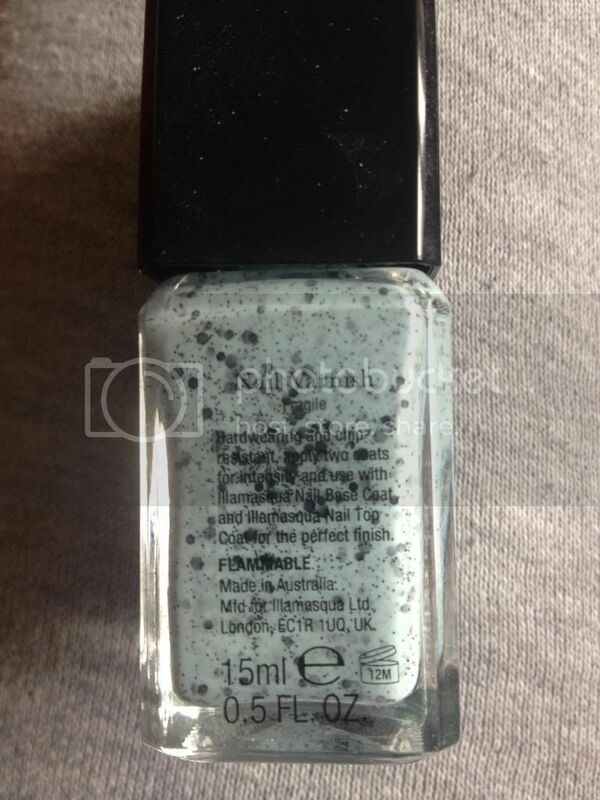 It's one of the speckled nail polishes in the colour Fragile. I really loved all the colours but chose this one because blue is my favourite colour and I thought this one looked more like an egg than the other colours. 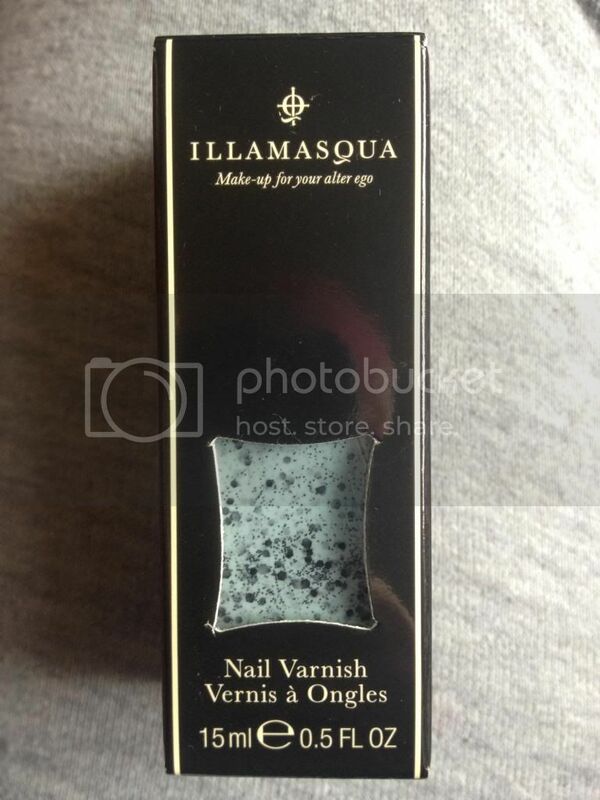 This shows that each Illamasqua bottle comes with a removable square lid, which I find easier as I find using a polish with a bulky lid is a bit tricky for me.But if you prefer a bulkier lid, the square part stays on quite well too. The brushes are quite thin, which is a pro and a con. I find that bigger brushes are easier for quick application, but thinner brushes are a bit more precise and good for nail art. 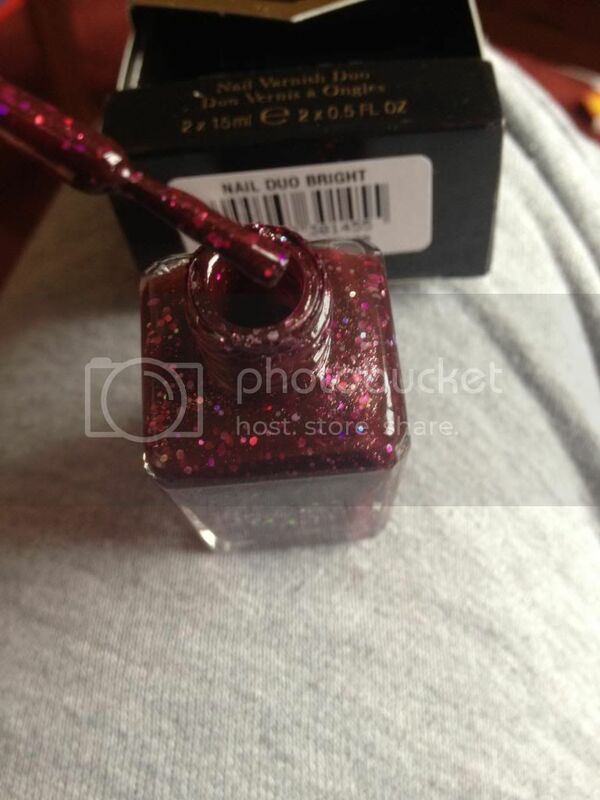 Picture of Glitterati with the flash on to try and show the pretty glitter pieces in it! Fairly easy to remove despite being glitter coats! Shops don't seem to be anywhere down south really so you can only get them online - although online they do a pick your own bit where you can choose 3 polishes for £30, which saves you a bit of money which is always nice! 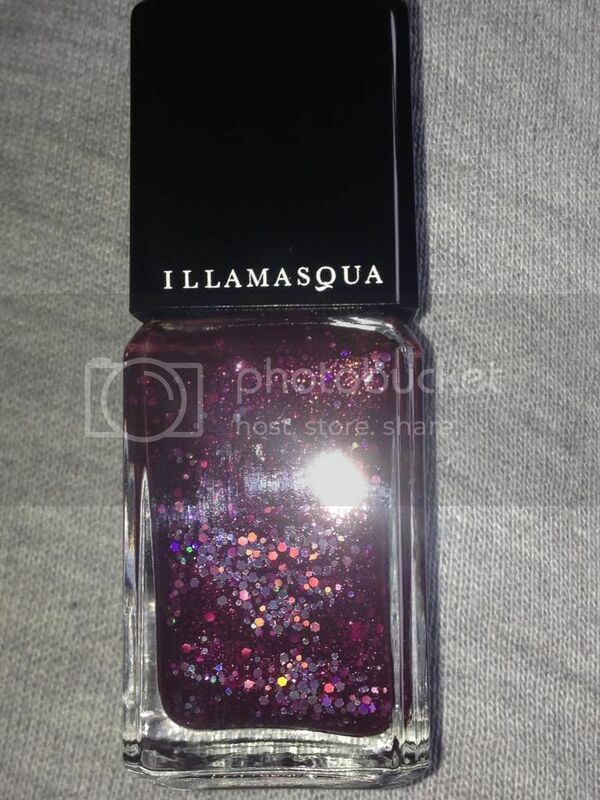 Have any of you guys tried any Illamasqua nail polishes? Any you recommend or any I should stay away from? Can anyone recommend any of their make-up as I really want to try it but don't know where to start really...any cult products to try? ?